https://youtu.be/ZCD98CGRJV8 Do you have 10 minutes or less to spare? Then click on this video! 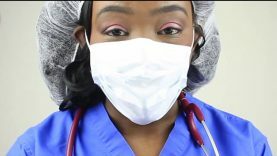 In this video, I’m giving your CRNA so let us get ready for surgery. Enjoy! Thank you for checking out my channel. I’m true to myself and I can not conform to what others think I should be. If you enjoyed this video, be sure to LIKE IT BY THUMBING IT UP, COMMENT, SHARE IT WITH YOUR FAMILY AND FRIENDS and SUBSCRIBE. Until next time, BYE! !